Texan death metal band Blaspherian announced more shows for their upcoming European tour. 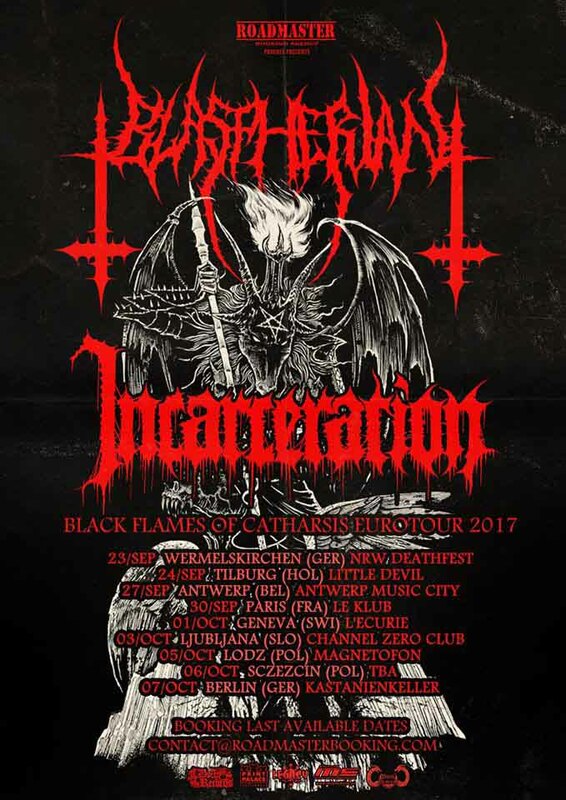 Blaspherian, one of the best contemporary underground metal bands, are touring Europe this September and October with Incarceration opening. 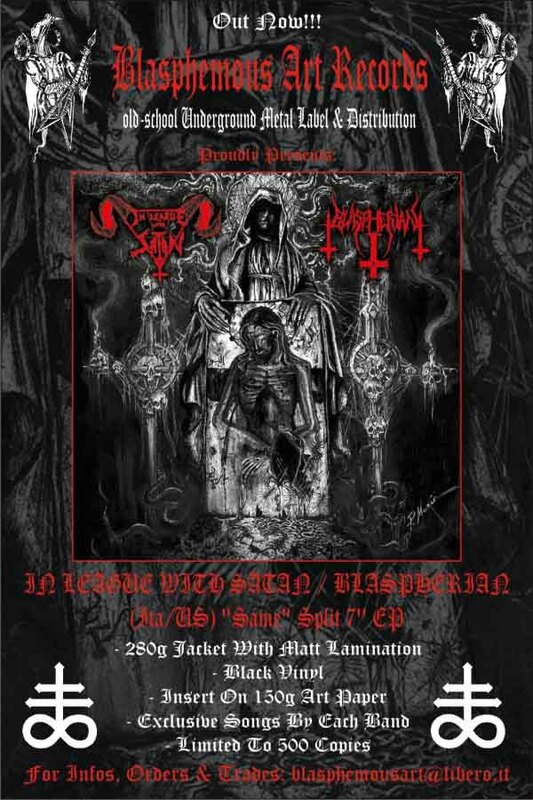 In the run-up to its forthcoming full length, Texas cavernous death metal band Blaspherian has joined forces with In League With Satan to unleash a 7″ split on Blasphemous Art Productions. Get Your Copy Now For 6,00 Euro + Postage. Payment via PAY PAL / POSTE PAY. Labels and Distributions get in touch for Trade. 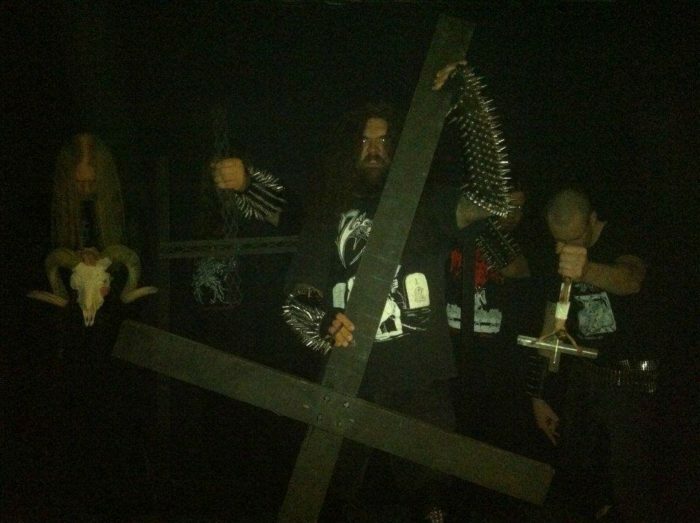 Roaring subterranean primitive occult death metal band Blaspherian have signed to Dark Descent Records and plan to release their yet-untitled next album on that label in 2016. Comprised of eight tracks of Satanic blasphemy, the new album follows up on the Imprecation/Blaspherian split showing an increasingly focused style for this primeval band. By the blessing of SATAN, and the blasphemous pride we are excited to announce that BLASPHERIAN will be working with Dark Descent records, for our next full length release. This full length will feature 8 tracks of old school SATANIC DEATH METAL….and is slated for a 2016 release…. We are proud to announce that IN LEAGUE WITH SATAN / BLASPHERIAN (Italy/U.S.A.) Split 7” EP went to press today. Exclusive and Unreleased tracks by both Bands. The EP will come with Insert, in a limited run of 500 copies on black vinyl. Unleashed through Blasphemous Art Prod. & Iron Bonehead Prod. Infos very soon. Watch Out! 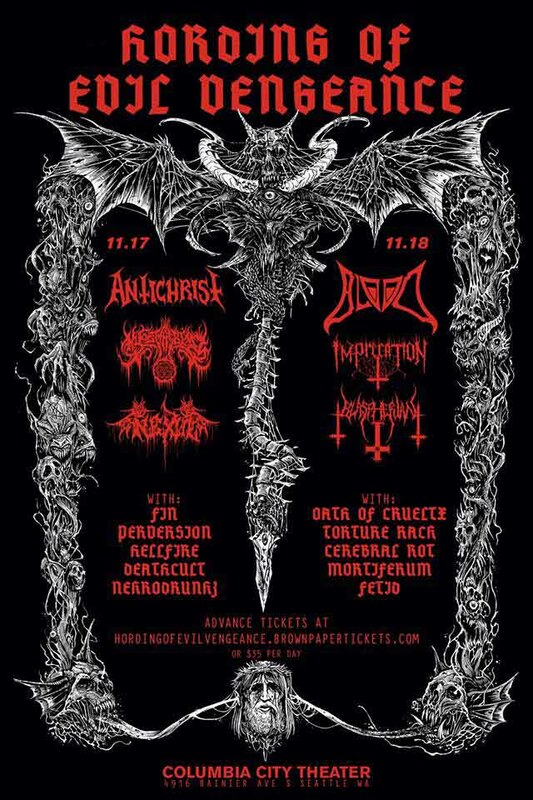 Texas cult primitive occult death metal band Blaspherian has recorded five tracks for its upcoming Reborn through the Black Flames of LuciferLP/CD and another single track for a 7″ with another band, the band said Monday. This release will follow the triumphant Upon the Throne…of Eternal Blasphemous Death 7″, the 2014 release of the bands demos and 2011’s Infernal Warriors of Death.